...Photographic Ramblings...: What's The Plan? ~ Floral Friday! I find myself wondering what my next direction is in my pursuit of photography as a vocation. Sure I have some small projects on the go, and some sessions coming up. But as the fall season approaches and the lazy days of summer dwindle, I feel compelled to have a game plan. And so far? I don't mind being honest...I'm stumped. The social connections around the Internet have made it very easy for folks starting out to find information, support, education... everything that can jump start your career. But sometimes all I see are very talented people with cameras spending every waking moment maintaining profiles, threads, and streams, and I wonder - All these photos, all this talent... is anyone actually printing them? Selling them? Pursuing something more? Is anyone venturing out of web land long enough to really be a photographer? Am I? Not easy answers to find, and never the same answer for everyone. All I know is I need a plan, a road map. And then I need to supply myself with everything I need to endure the journey. I have the feeling I need to seriously up my game. The question becomes how? 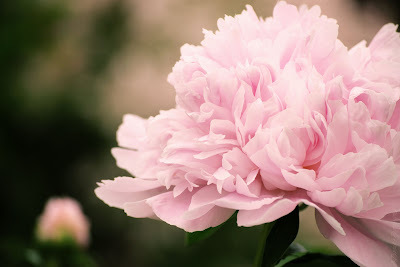 I posted this image today and thought about the simple act of getting a great peony photo. It wasn't that simple. It was actually a process. I must have wandered around getting shots of every peony I owned, started with simple compositions, typical close-ups with the bursts of petals only, and then the approach evolved. I had to watch my perspective, get creative with the composition, and be aware more of my gear possibilities. Wait for light to soften, time things well, and change how I saw the blossoms all together. And when I got the above shot, I knew. I guess I just answered my personal "how". I need to change my perspective, try a new approach, be ready with my gear, and use what I already know. Timing will be important, wait for conditions to be right, and stop thinking inside the box when it comes to my pursuit of photography. Huh. A good starting point anyways. After that? Who knows.... I'll keep you posted. Thanks for the thoughtful ramble gang. Have a good one.